Nowhere near a Foot Action doing a Retro 3 ’88 restock? Then try your luck at a free pair! 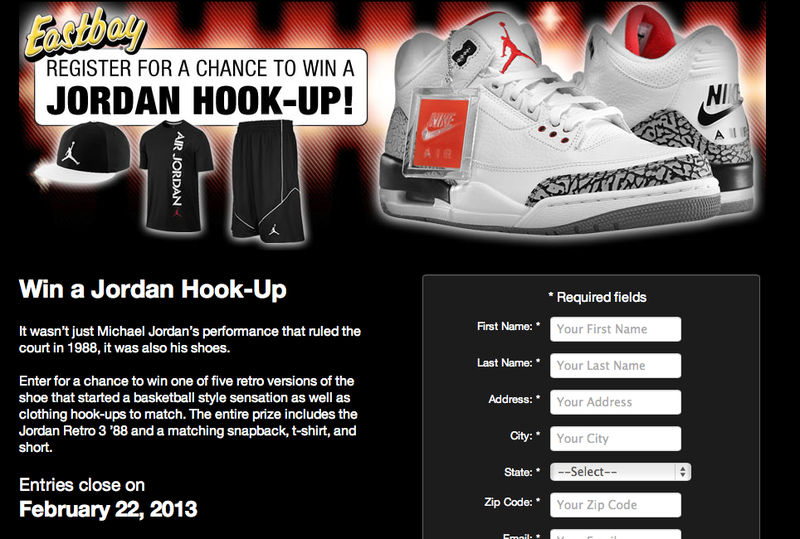 Eastbay is giving away a pair of Jordan 3 ’88. The set comes complete with snapback, shirt and shorts. Contest ends 2/28/13 so enter now!